The global economic crisis that began in 2008 has had a big impact on the real estate market in Australia. A recovering economy caused mortgage interest rates to drop after an initial period of tight lending regulations. More Australians were apt to choose variable rates as interest fell, but the trends in borrowing have started to change. Why are Australians more likely to opt for fixed rates when they apply for a mortgage? Rates were steadily dropping, but it now appears that the historically-low rates that are being offered to home buyers are starting to level out. This means that more people are hoping to lock in the lowest rates possible by opting for a fixed rate. Variable rates change with the market. 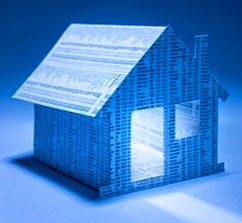 This was beneficial for borrowers who were taking out mortgages while interest rates continued to drop. Home buyers were able to take advantage of dropping rates without holding off on their home purchase by opting for a variable rate. Fixed rates lock in current rates for the duration of the mortgage. These interest rates are ideal when interest is low, and Australia is currently experiencing rates that are expected to be as low as they will get. This is why Australians prefer fixed rates at this point. Low rates are not the only reason that Australians are opting for this type of interest. Fixed rates are always the same, so people who are dealing with a tight household budget are better able to determine how much housing will cost with a fixed-rate mortgage. A mortgage payment will always be the same with fixed rates. There are several reasons for the steady increase in the amount of the average mortgage. One reason for this trend is the fact that the real estate market is steadily recovering. Homes cost more on average now than they have in the past, so it makes sense that this amount would be increasing. Another reason is the fact that lower mortgage rates are available. People who are able to take advantage of low rates are able to afford more because of the reduced amount that will be going toward interest payments. The final reason for higher interest rates is the fact that more people are finding employment across the country. A higher rate of employment means that more people are able to afford a home purchase.